Out of the still chaotic swarm of mobile point-of-sale solutions, two distinct business models are beginning to emerge and gain traction – with two sets of mPOS providers that are offering similar products but fulfilling very different customer needs. We spoke with some of these providers at CARTES and gained insight on how these business models emerged and what they mean for the future of m-commerce. In one camp are those designing services tailored to the needs of large retailers. With huge volumes of transactions and often multiple store locations, retailers often need robust, customizable mPOS platforms that are fully integrated with their existing payment systems. On the other side, other mPOS providers are catering to the requirements of small vendors or individuals, who often only require a simple, no-frills mechanism for accepting card or mobile payments. Increasingly, mPOS providers are aligning themselves in one camp or the other – opting to focus on meeting the unique needs of these distinct customer bases – whether directly or via intermediaries. As the industry continues to mature, will these separate tracks continue to solidify, or will the most successful mPOS solution be one that successfully straddles both spheres? Fueled by growing consumer demand for mobile payment channels, many large retailers are investing heavily in mPOS roll-outs and expect a significant return on their investment. This means they are looking for mPOS platforms that cannot only generate increased foot traffic in their stores, but that can counter showrooming and convert that traffic into sales. A large segment of mPOS providers are therefore focusing on developing customized solutions to meet the unique prerequisites of large retailers, including omnichannel integration, consumer data analytics and in-store geolocation. One shared requirement among large retailers is the integration of all potential payment methods – from mobile and online to cash and card payments – into a central system. While these channels previously operated in siloes, “there is a trend toward the convergence of mobile, online and brick-and-mortar strategies,” according to Alan Moss, VP of Marketing for Verifone, during an interview at CARTES. Increasingly, he said, mPOS providers need to figure out how to close the gap between face-to-face and e-commerce transactions, creating a smooth experience across all channels. Verifone has developed a unique way to approach this challenge: viewing payment as a service that can be offered to retailers. By developing platforms that “take the pain out of payments,” Moss said it becomes easier to move from single and multi-channel payments to a holistic, omnichannel experience for the retailer. Beyond a seamless consumer experience, retailers want the capability to harness multiple streams of data – from transactions to customer preferences – in order to evolve their marketing strategy and boost their bottom line. Leveraging this data for further sales would justify the initial investment in mobile integration. The Verifone mPOS solution, for instance, enables retailers to identify loyalty customers when they enter the store, opening opportunities for targeted marketing. Retailer-oriented mPOS systems may also integrate in-store geo-localization features, offering another source of data and targeted marketing opportunities. For instance, consumers may receive push notifications based on their proximity to specific items and their personal preferences. This strengthens the conversion of store traffic into sales and thus adds significant value for retailers. (See our article on Beacons for more on in-store geolocation). Ultimately, according to Moss, mPOS providers must create a seamless payment experience for merchants that combines payment with interactive selling tools in order to strengthen the value proposition of in-store mPOS solutions. Simply offering mobile payment options is only the first step – spurring active use of these channels requires adding value outside of the transaction itself, for both retailers and consumers. Small merchants and individuals often have very different mPOS needs than larger retailers. For local café owners and taxi drivers, among other small-scale vendors, mPOS platforms offer a simple and affordable mechanism to accept electronic payments. Traditional POS systems often require expensive hardware or charge exorbitant interchange fees, and thus mPOS platforms offer a convenient and cost-saving alternative. Companies such as Europe-based Jusp, for example, take a refreshing, small vendor-centric approach to the mPOS. The idea for Jusp was born in Italy in 2010, and the mPOS has been touted as “Europe’s Square (And Maybe Africa’s Too)” and takes a similar approach in selling directly to small merchants. At its core, Jusp sought to create a product that put the needs of the small merchant front and center – from a cost and design standpoint – the crisply-designed dongles sell for only 39€. Beyond cost-savings and a ‘cool’ design, many small vendors also need a payment solution that can be easily set up at a moment’s notice. Thus, many small merchant-focused mPOS solutions, such as Jusp, are easy to understand, set up and immediately use, with a user interface that offers a smooth and clean experience for both vendors and consumers. Simplicity and customization are also at the heart of mPOS solutions targeting small vendors. While these products can be as simple as a dongle tacked onto a smartphone or tablet, they can also integrate additional features as desired by the merchant, depending on their needs or budget. This gives merchants the ability to choose which features and data are relevant to their business, instead of overwhelming them with complex analytics they do not need or cannot manage. The Jusp solution, for instance, can be customized to fit the branding and marketing needs of small merchants. While the needs of larger retailers and small-scale merchants for mPOS systems are clearly distinct, must mPOS providers necessarily stake their claim in one camp or the other? Or rather, is it advantageous to offer a suite of mPOS offerings that addresses the needs of each and every type of retailer, in each and every market? AnywhereCommerce, for instance, offers end-to-end, white label solutions for mobile payments and m-commerce for players across the retail ecosystem. Working with leading merchant acquirers to distribute their solutions, the company offers different mPOS options for each market, whether Magstripe-based cardreaders in the US or Chip-and-PIN solutions in Europe and Canada. “There isn’t a market in the whole world that we cannot service,” said Mitchell Cobrin, Co-Founder and CEO of AnywhereCommerce, in a recent interview. The company engages in collaborative discussions with partner merchant acquirers to understand what merchants need and guide the development of their mPOS solutions. Working through third-party acquirers, said Cobrin, AnywhereCommerce is able to scale more quickly, create an international footprint and empower players that are already dominant in the market. This further enables the company’s solutions to reach a broad range of retailers, from big box stores to small merchants; rather than pigeonholing themselves in one specific market. The mPOS space is fast-evolving and its future is still being shaped. Amid the confusion, however, clearly differentiated products are beginning to emerge and their value propositions validated. With mobile POS proximity payments expected to reach USD $5.4 billion by 2018, there is certainly a lot at stake. 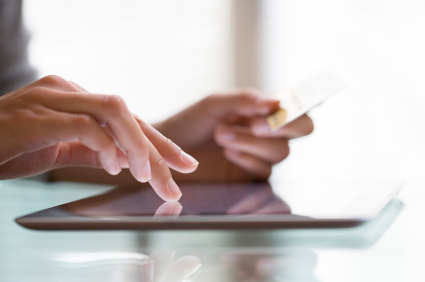 Will the winning mPOS solution fall in stream one, stream two, or somewhere in between?